Yes... it can actually bend! It’s been a rumor for quite some time, but it appears to be coming true anytime soon. 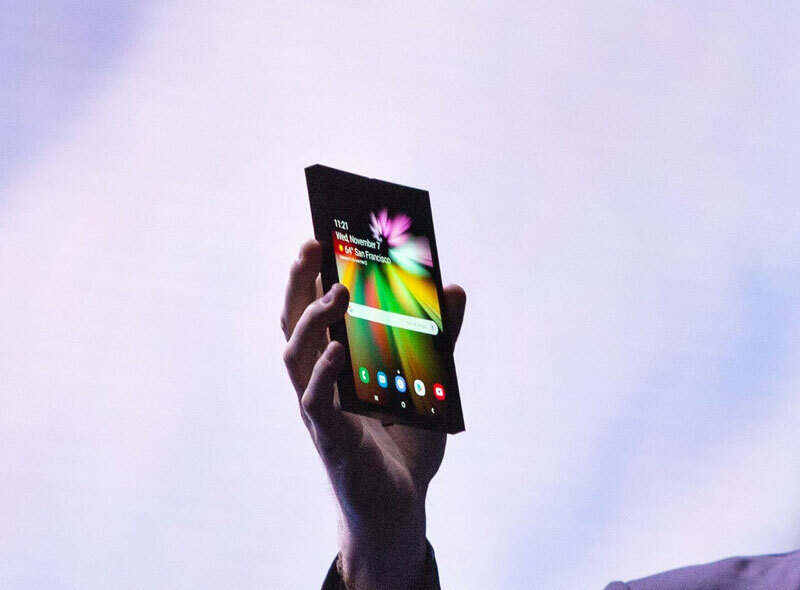 Samsung has finally unveiled the “Infinity Flex”, their new foldable smartphone! According to Samsung, the new foldable model will give users “the best of both worlds”, because it allows the user to have both a table and a smartphone once it’s folded. The devices name comes from the new display technology it uses, called “infinity flex” as well. It’s an advanced composite polymer that’s been described as flexible and tough. 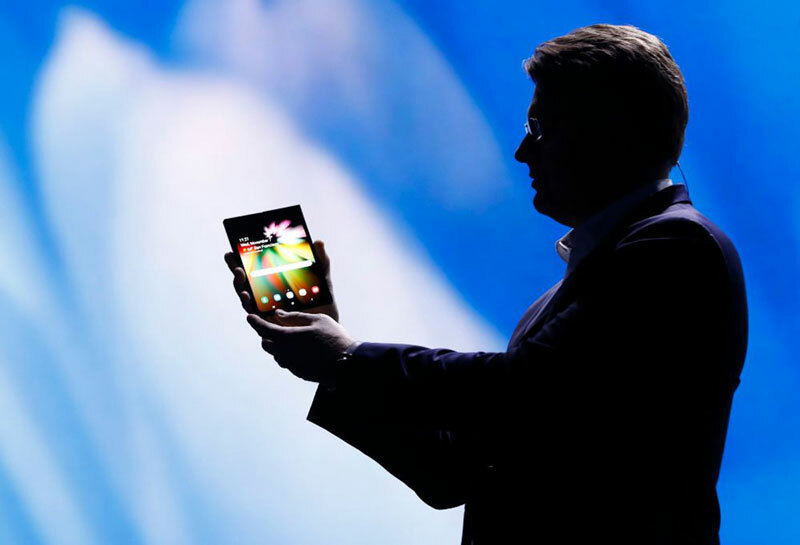 To make the screen foldable, Samsung needed to make it thinner than any panel ever used on a mobile device. It did this by reducing the thickness of the display’s polarizer, which is 45 percent thinner. It allows you to open and close the device over and over again without degradation. When unfolded the device is a 7.3in tablet and has a 4.2:3 ratio, with a resolution of 1536×2152 and a screen density of 420 dpi. When closed, it is a 4.58in vintage-looking phone, with its bulky, small, and rectangular design. It has a 21:9 aspect ratio and a resolution of 840×1960, with a screen density of 420 dpi. It was also revealed that the new device will specialize in multitasking. You’ll be able to run three apps simultaneously instead of having to close and launch apps. 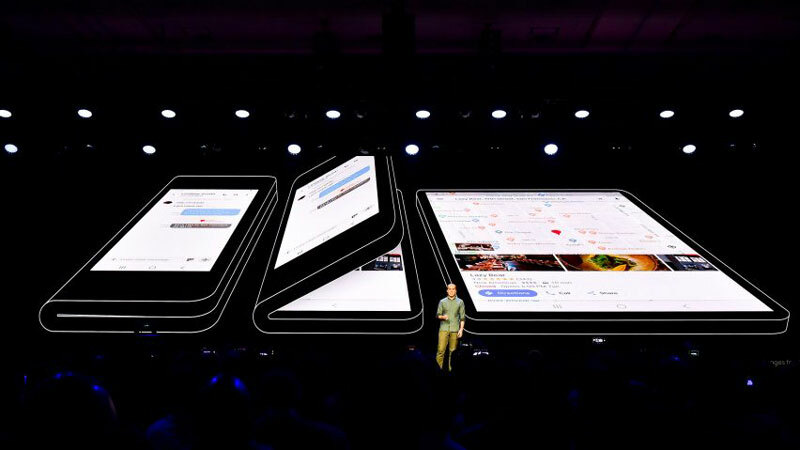 The interface Samsung showed off to developers featured one app filling the entire left half of the screen, while two apps stacked on top of each other took over the right side, which will all be active at the same time. 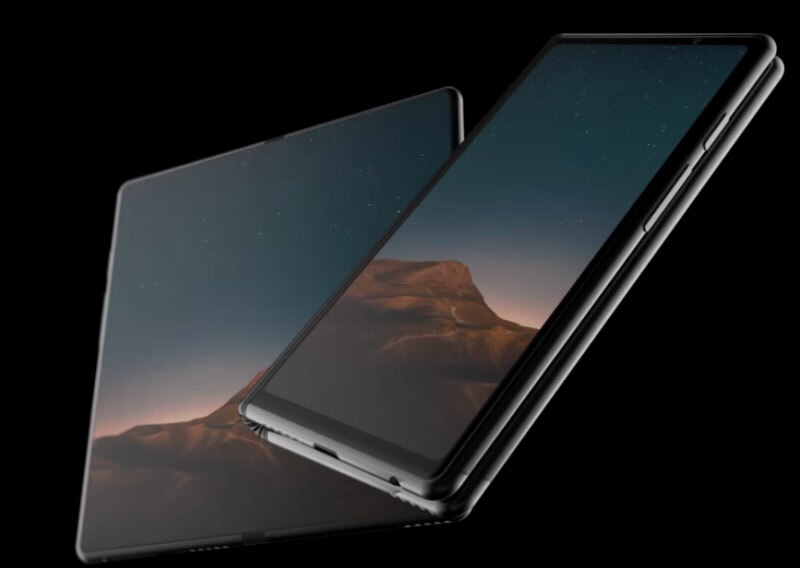 These features will be supported by Android, according to Google, which plans to officially support the foldable phone with a special version of its mobile OS tailored for devices with flexible screens. 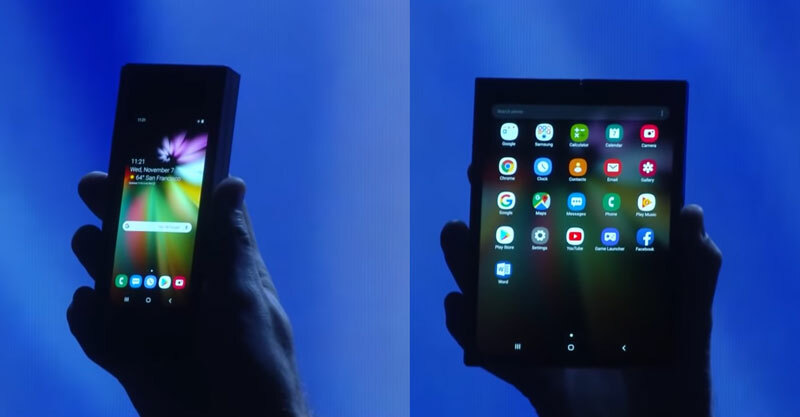 The foldable phone will also run the OneUI, which promises a cleaner look and a design that’s easier to use on big-screen phones. Thanks to the new technology used on the phone’s screen, it might create a bold impact on future smartphones, making capacitive touch on glass become less popular. Or it could reiterate why this choice has dominated the market since apple demonstrated its value with the introduction of the iPhone. However, one thing is sure: Samsung’s device is just the beginning into welcoming a future of foldable phones, TV’s, tablets and more! Transparent is the NEW Color!